The Fighting Lady Yorktown Franklin Carrier WWII DVD contains (4) films highlighting the carrier war in the Pacific including the USS Yorktown, USS Franklin, and kamikaze attacks on US ships. Most of the film footage is in rare color. 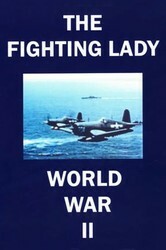 Film #1 - The Fighting Lady - Highlights functions and duties of the aircraft carrier USS Yorktown and crew activities. Maps illustrate movements of the Pacific fleet in 1943 and 1944. A-24 Dauntlesses, TBF Avengers, F6F Hellcats, Curtiss Helldivers, strafing and bombing missions over Jap held islands, Mitsubishi Zero Sens engage U.S. Navy assault force, U.S. casualties buried at sea. Run-time is 62 minutes in color. Film #2 - USS Franklin - The 19 March 1945 attack on the ship in which two enemy planes caused extensive fires and subsequent explosions of ammunition loaded on planes on the flight deck and hanger decks. Run-time of 17 minutes in B&W. Film #3 - The Saga of the USS Franklin - Rare Kodachrome footage of the story of the most heavily damaged carrier of WWII. Run-time of 25 minutes in color. Film #4 - Kamikaze Attacks on US Ships - Run-time of 4 minutes in color. 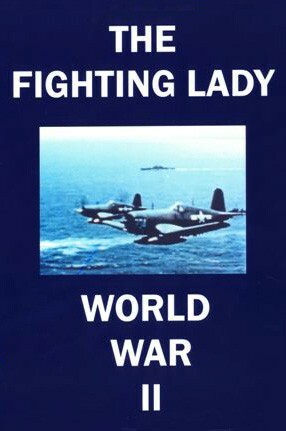 Total run time for The Fighting Lady Yorktown Franklin Carrier WWII DVD is about 1 hour, 48 minutes in color and B&W. Format is NTSC DVD.